Demi Pearson, 14, her eight-year-old brother Brandon and seven-year-old sister Lacie died in the blaze in Worsley, Greater Manchester, on Monday. Two people have been charged with murder after a house fire left three children dead. Police said on Wednesday that a man and a woman had been charged. Zac Bolland, 23, of Blackleach Drive, Worsley has been charged with three counts of murder, four counts of attempted murder and one count of arson with intent to endanger life. Courtney Brierley, 20, of Worsley Avenue, Worsley, has been charged with the same offences. They are due to appear at Manchester and Salford Magistrates' Court on Wednesday. Police made six arrests in the hours following the suspected arson attack on the family home of Michelle Pearson, 35, and her children in Jackson Street, Walkden, at around 5am. The children's mother is still in a serious condition in hospital, while a fourth sibling, three-year-old Lia, is critically ill.
Two 16-year-old boys - Ms Pearson's son, Kyle, and a friend - were also in the house but managed to escape before fire crews arrived. Kyle reportedly tried to get back into the home to help family members but was beaten back by flames and smoke. Since the tragedy it has emerged that the Pearson family had been living under threat, sources have confirmed. Security measures were put in place at the mid-terrace home, including the fitting of a device to the property's letterbox. The arrangements, known as target hardening, are generally used to strengthen a building to protect it in the event of an attack. 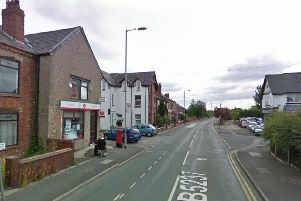 Greater Manchester Police confirmed there had been "earlier incidents" at the address and said the force had referred itself to the Independent Police Complaints Commission. It is understood the voluntary referral was in response to police contact with the family less than 24 hours before the fatal incident. Ms Pearson remains heavily sedated in hospital and is unaware that her children have died. The IPCC investigation is under way and is expected to focus on the contact between Greater Manchester Police (GMP) and the family after officers were called to the address in the hours before the fire. Chief Superintendent Wayne Miller, of GMP, speaking at press conference on Tuesday, said: "I can't imagine what the family are going through. "My heart breaks for them, it really does." Mr Miller said the force was "so grateful to members of the public who have come forward and given us information" and said there was a greater police presence on the streets as a result of the attack. Emma Henderson, headteacher at Bridgewater Primary School, which Brandon and Lacie attended, said: "We are consoling our pupils and their families and send our deepest sympathies and prayers to all those affected." Drew Povey, head of Harrop Fold School, where Demi was a pupil, said: "We are all truly devastated by the loss of precious life that our community has recently suffered. Words seem inadequate in these tragic circumstances. "The spirit of Salford cannot and will not be crushed. We will work together to comfort and rebuild those lives that have been forever changed."